Looking for a custom app for your dream business, but do not have the skillset in your team then better option is to outsource. It is always suggested, to explore the ways of outsourcing projects. In present times, the latest technology has reached out to people in various ways. One common mode is the use of apps that give an overall idea about the theme. However, mobile app development is quite common but it is not an easy task and there are lots of technical stuff behind the mobile app development such as design and tricky coding. 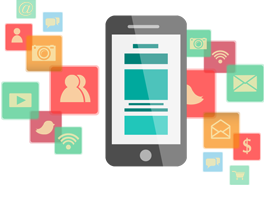 To avoid such difficulty, a lot of companies prefer the out-shore mobile app to professional & experienced best Mobile app Development Company in Los Angeles or freelancer. Many people are not comfortable in allowing others to help them in android app development, but they feel comfortable in outsourcing the task will improve your efficiency and will lead to focus on another task. While outsourcing the project is one of the best things to do, it comes with many challenges. The biggest challenge is to find the talented & experienced developer since who is being used for dedicatedly and understand your requirements. What are the Steps to Consider While Outsourcing project? When you have your app requirement, then it is easy to describe what you want from your Android app developer. While searching for a developer you have to find out, who is proficient in building the android app similar to your requirement. Choosing the right Android app developer is a big task to outsource the app development. It is always recommended to check the portfolio to get confident of the Android developer who is bidding on your project. Before outsourcing your app development project, you must have a detailed idea of a project. You have to know what you expect from your Android mobile application. Having a clear-cut definition of what you want from your mobile application is crucial. Detailed information and complete requirement are necessary to convey your Android app developer effectively. It is always recommended to send a completed document to the developer to avoid misconceptions and required featured.